I’m not a big coffee drinker, but if it’s something sweet that doesn’t taste like plain ole’ black coffee, I’m willing to try it. A few months ago I attended Blissdom and was greeted early one morning with dessert in a mug. 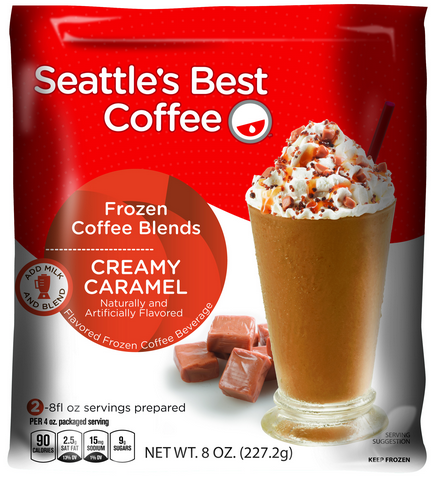 They were giving out samples of the new Seattle’s Best Frozen Coffee Blends and I instantly wanted to drink the whole bag. They gave everyone a coupon for a free bag, and thus started three months of searching for a product I could never find. Two weeks ago, the sky opened… birds sang… and I found it in a local store. Even if you aren’t a coffee fan, you’ll love this. It has only a small hint of coffee when you are done and tastes amazing! Don’t want to wait to see if you win? 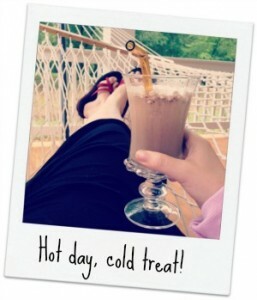 You can save with a $1 off Seattle’s Best Frozen Coffee Blend coupon. You must enter in the form above to win, you can leave all the comments you want but they won’t be part of the random drawing. The winners of this giveaway will be chosen and posted to the Giveaway Winners Page Monday, 7/8. This giveaway is sponsored by Seattle’s Best, but all opinions are 100% my own.